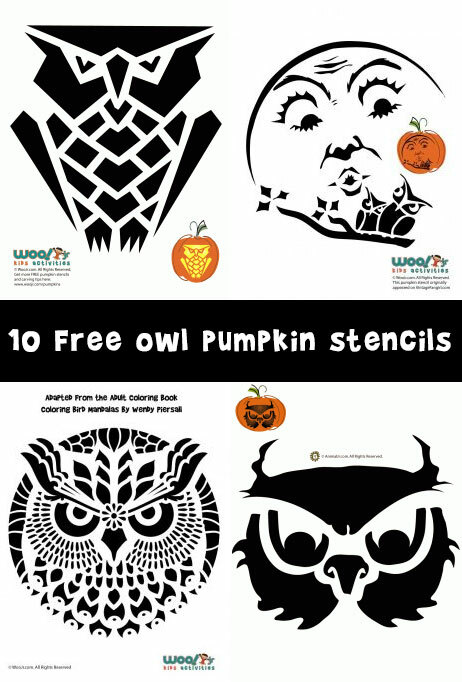 Halloween owls are just the coolest thing ever. 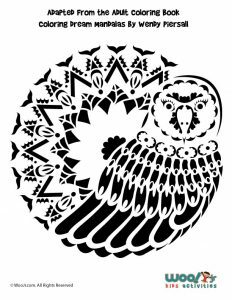 Owls are also my favorite bird, and next to our pets, my favorite animal. You could say I have a ‘thing’ for owls. 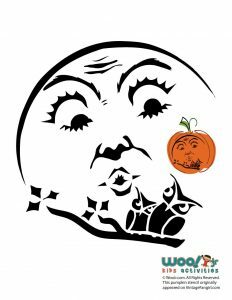 I’ve created and drawn several owl pumpkin stencils over the years on Woo! 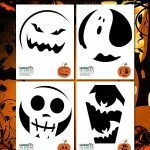 Jr., and came up with some new ones for 2017! 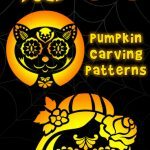 So here are all of our owl pumpkin carving patterns all in one place. 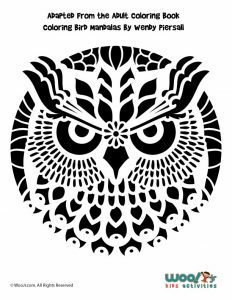 That geometric owl is probably my favorite of this bunch! 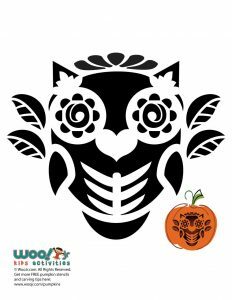 This sugar-skull inspired owl is also a favorite and new for this year. 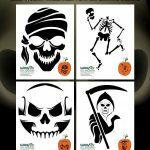 Check out the entire collection of six Day of the Dead Pumpkin Stencils! 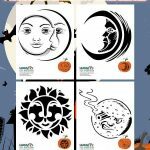 This moon looking at a pair of owls was originally posted on another site of mine. 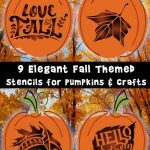 It is based on some 1920’s paper Halloween decorations! 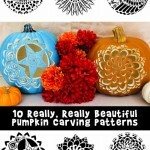 Last year I drew up a really popular set of nine mandala pumpkin stencils based on the art in my adult coloring books. 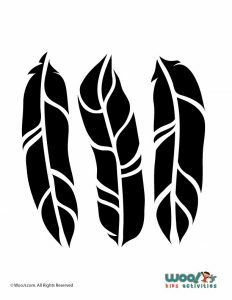 Two of them were owls, and I threw in some cool feather template art just for fun!